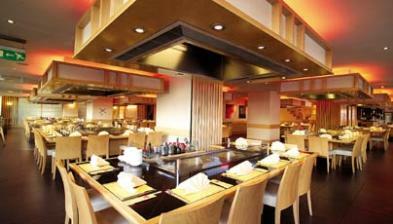 Sapporo Teppanyaki Restaurant Sushi and Noodle Bar is Liverpool's only destination for contemporary Japanese food. Fortnately what the city lacks in quantity it certainly doesn�t lack in quality as Sapporro serves up some of the finest Japanese cuisine anywhere in the British isles. Amazingly gifted artisan chefs put on a culinary teppanyaki show right before diners� eyes, serving up dishes like Salmon Teriyaki, Scallops with ginger and garlic, yakitori chicken bamboo skewers or Spicy beef fillet with chilli and garlic. There�s also a wealth of delectable offerings from the sushi and noodle bar and a fine selection of tepanyaki set combos for those open-minded individuals unable to choose for themselves.